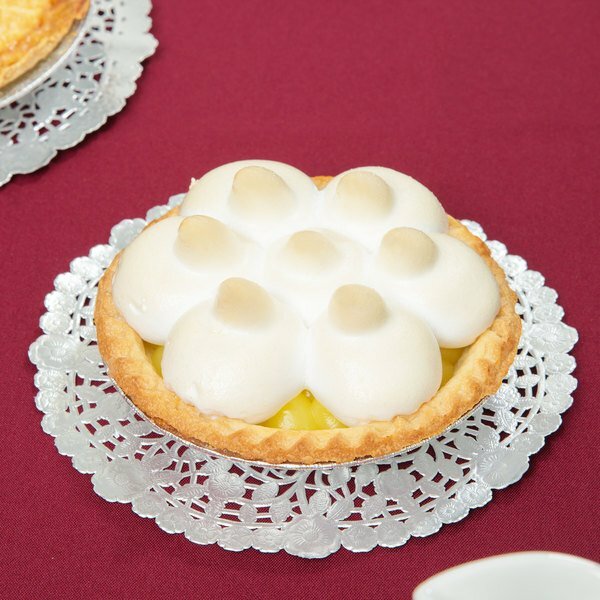 Made with hand-crafted dye and celebrated for the quality of their embossing, this silver, 8" foil lace doily is an excellent choice to aid you in showcasing your quality appetizers, desserts, and more! 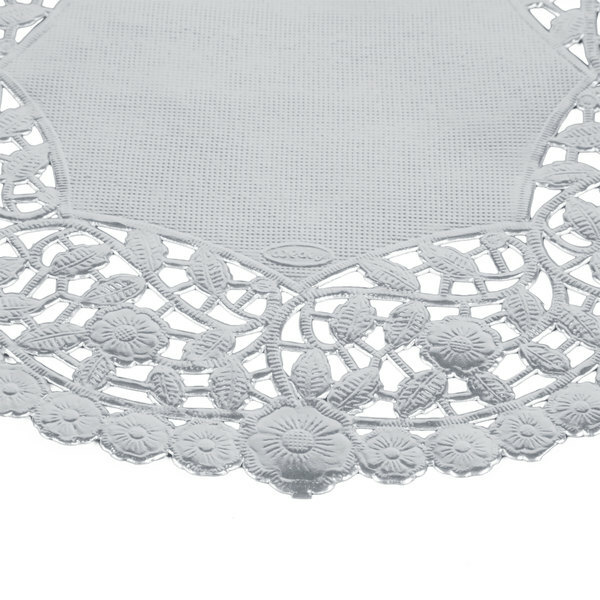 Your guests will love the elegant touch that this doily brings to your display cabinets, table settings, serving trays, or shelves. 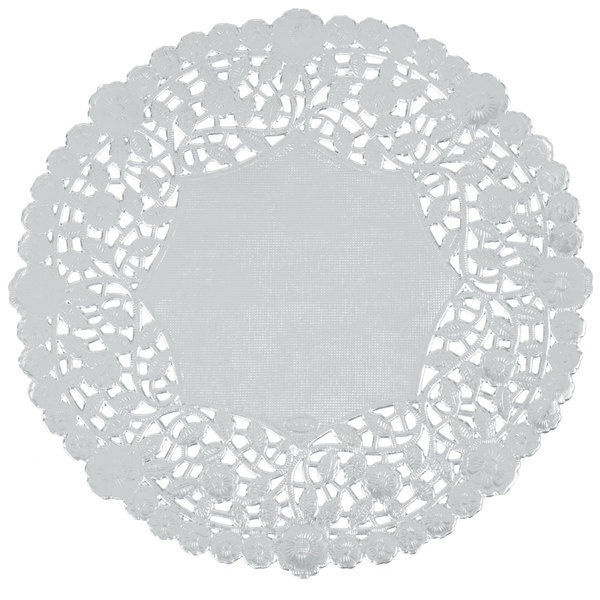 You can even use this doily to spruce up your buffet lines! Plus, this silver doily is economically efficient, ensuring that you are getting the most out of your product. Keep plates and tables clean while creating a lovely look. 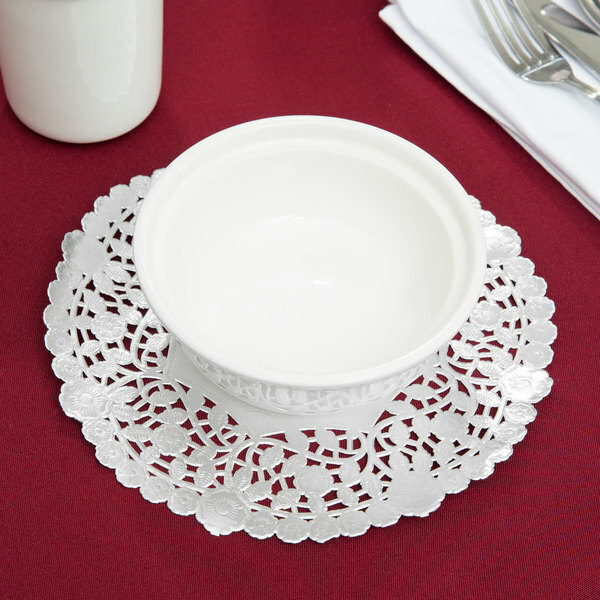 These food safe doilies are high quality and perfect to use with any food service!